Lucioball returns for a 3 go August 9 thru 30. New Lucio Ball stadium has been confirmed by https://twitter.com/overwatchkr/status/1025154177113247744?s=21 this tweet from Korean twitter confirmed BUSAN map. Overwatch League is coming to the ESPN, Disney and ABC family of networks, ESPN, Disney and Blizzard Entertainment announced on Wednesday. The multi-year broadcast deal includes the Overwatch League playoffs — which begin Wednesday night — the Season 1 grand finals from the Barclays Center in New York next month, the Overwatch World Cup this fall and Overwatch League Season 2 next year. In all, professional Overwatch will be broadcast in some fashion on the flagship ESPN network, ESPN2, Disney XD, ABC and streaming services for the term of the agreement. It amounts to hundreds of hours of live and highlight programming across four networks, bringing Overwatch League competition for the first time to both linear and digital ESPN and Disney viewers. The agreement does not cancel existing distribution agreements already in place, like Twitch broadcasts. Zero wins, forty losses. Every Overwatch League team wanted to have a special first season, but for the Shanghai Dragons, what they’ll be remembered for is infamous. While the deal focuses on live and full replays of Overwatch competition and recap show on ABC, there is a broad swath of digital rights that the networks “plan to take full advantage of,” according to Lasker. That might include highlight packages for ESPN digital platforms or even supplemental content catered toward fans who might not be as familiar with Overwatch. The agreement matches a strategy both the networks and Blizzard have to bring Overwatch competition to a wider audience. While they recognize some potential crossover, each distribution point represents a different demographic who might be interested in watching the highest levels of Overwatch gameplay. 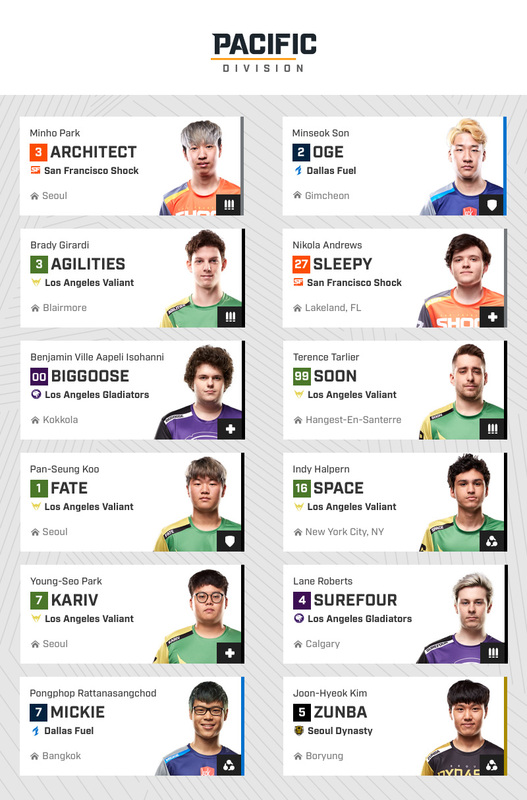 Overwatch League debuted in January with 12 teams representing cities such as Boston, New York, Los Angeles, Shanghai and Seoul. The teams all compete from the Blizzard Arena in Burbank, California, which was the home of the “Tonight Show” with Johnny Carson for 30 years. In the future, teams will move to their home cities, and Overwatch League will become the first geolocated structured league in modern-day esports. Owners such as the Kraft Group and Stan Kroenke spent $20 million per team to reserve franchise spots last year, and an expansion is reportedly on the horizon. This is not ESPN or Disney’s first time broadcasting esports events. ESPN has been showing esports competitions for several years on its networks and streaming channels, including the Heroes of the Dorm collegiate competition (in a partnership with Blizzard), the Capcom Cup Street Fighter V finals, and the Evolution Fighting Game Championships to name a few. The Overwatch League Contenders Series was on Disney XD last summer as well. But this is the first time all the networks have come together for a multi-year agreement. Financial terms of the deal were not disclosed. “We’ve been in partnership with Blizzard for a long time, and we’re rather ecstatic about taking this significant step forward,” Lasker said. Blizzard agrees, and compares their relationship to the ones ESPN enjoys with other major sports leagues. “Media partners are another very important partner in [the Overwatch League] ecosystem. ESPN is invested in the growth of the NBA and now we hope they are invested in the growth of our league. That’s what makes it a significant moment.” Vlastelica said. Disney is the parent company of ESPN. The broadcast kicks off Wednesday night at 8 p.m. ET on Disney XD and ESPN3 when the Philadelphia Fusion takes on the Boston Uprising in the first match of the Overwatch League quarterfinals. Full OWL playoff and broadcast schedule is below. 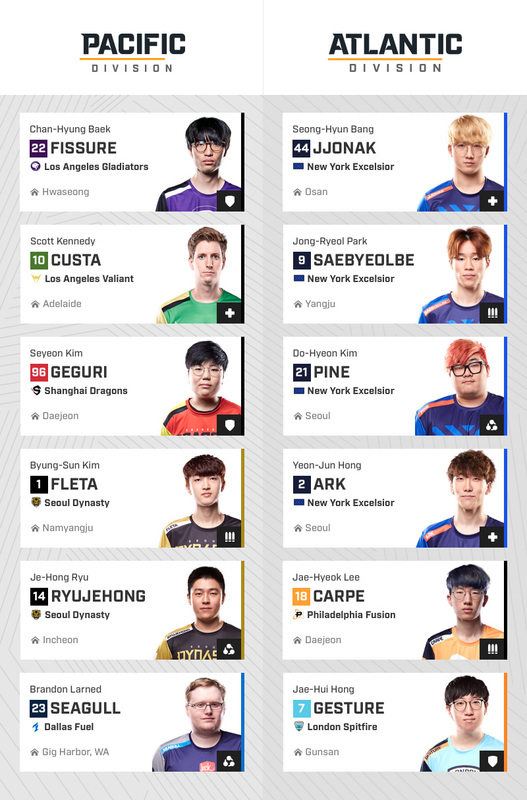 2018 OVERWATCH LEAGUE ALL-STAR ROSTERS REVEALED! More than 55,000 fans voted for the Atlantic and Pacific Division starting rosters for the Overwatch League All-Star Game, Powered by Intel®. Now we’re revealing the complete 18-player rosters (starters and reserves) for both squads. Also, we’re pleased to announce that tickets for All-Star Weekend are now available. 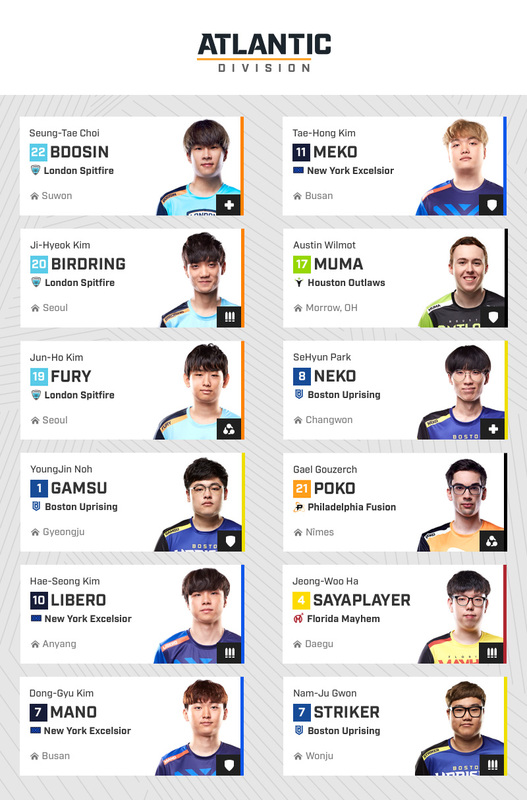 The reserves were selected by Overwatch League players, coaches, casters, and staff. All-Star Weekend festivities kick off on Saturday, August 25, at 4 p.m. PDT, with a series of custom skill matches. On Sunday, August 26, at 11 a.m. PDT, the Atlantic and Pacific Division All-Stars go head-to-head in the official All-Star Game. Additional details on All-Star Weekend custom game modes, the All-Star Game format, and other fan experiences will be announced soon. 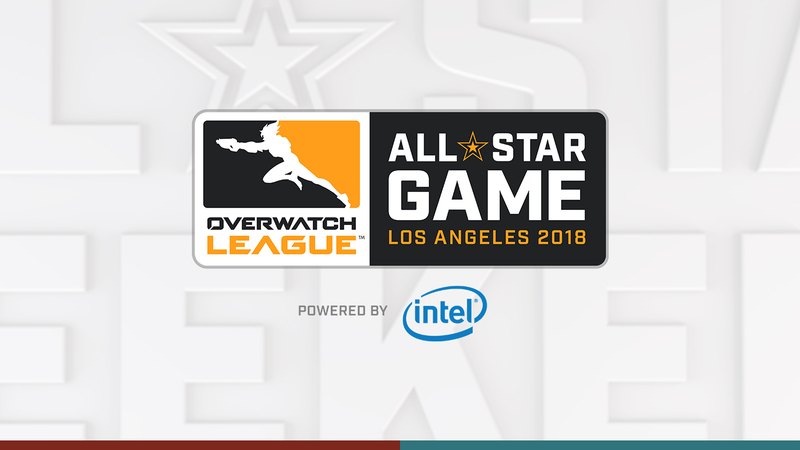 The All-Star Game will be streamed live on Twitch, OverwatchLeague.com and the Overwatch League app, and on MLG.com and the MLG app. NEW YORK, NY— JULY 9, 2018: The Breast Cancer Research Foundation (BCRF) today announced that it will receive an unprecedented $12.7 million donation from Blizzard Entertainment. The donation was tied to worldwide sales of a limited-edition “Pink Mercy” hero skin for Blizzard’s internationally acclaimed best-selling game Overwatch®, along with a special T-shirt created to support the cause. (“Skin” is a game industry term for an alternate version of a character’s outfit or appearance.) The gaming community rallied around the fundraising effort, making it the largest donation by a corporate partner in one year in BCRF’s 25-year history. The special charity skin was designed for the Overwatch hero Mercy, a scientist and the “guardian angel” of the game who has dedicated her life to helping others. The limited-edition skin was offered as an in-game purchase on PC, PlayStation 4, and Xbox One, with Blizzard Entertainment donating 100% of the proceeds it receives from sales of the skin to BCRF. In addition to the charity skin, players showed their support for the cause with a purchase of a limited-edition Pink Mercy T-shirt, available for men and women, designed by community artist VICKISIGH. Blizzard also coordinated charity streams on Twitch with 14 star Overwatch players from around the world, who collectively raised more than $130,000 for BCRF during the two-week campaign. Click here to learn more about BCRF’s collaborations with Blizzard Entertainment. Don't overlook that the new Sombra changes are also on the PTR! Her infinite Stealth allows you to lie in wait for enemies to get closer. Configuration: Sentry and Configuration: Recon – Minimum damage at max range increased from 30% to 50%. Rolling into the fray with his newly upgraded battle mech, the champion of the Scrapyard—Wrecking Ball—our newest Tank hero, is ready to flatten foes and bulldoze frontlines on his way to victory! Hammond, also known as “Specimen 8,” was genetically modified during his time on Horizon Lunar Colony and, like Winston, was granted increased size and intelligence as a result. He is a witty and conniving creature that loves to cause mischief. During the rebellion on Horizon, he secretly attached his escape pod to the back of Winston’s ship, hitching a ride to planet Earth to save himself from imminent destruction. He crash-landed in the Australian Outback near Junkertown, and over time upgraded his escape pod into a formidable mech, soon becoming a force to be reckoned with known as Wrecking Ball. He doesn’t speak any human languages, but his mech automatically translates his voice in a fittingly menacing tone. Wrecking Ball brings a plethora of unique traits to the roster of tanks available in Overwatch. He can switch between a bipedal Combat mode with high-capacity machine guns and a Roll mode allowing him to cruise through maps and enemies alike with great speed. Entering the fray, his large health pool and shield-generating capabilities give him resilience when initiating and finishing battles. If that wasn’t scary enough, he can climb and swing on surfaces using his Grappling Claw and perform Piledrive, a devastating ground smash, to enemies below. In addition to setting up Piledrive, Wrecking Ball’s Grappling Claw enables him to reach top speed. Top speed increases his basic movement speed, damaging and knocking back foes in his path. His ultimate ability Minefield is just as versatile, allowing him to set a trap and control routes, or simply trigger a large area-of-effect explosion for enemies in the immediate vicinity. Overwatch Patch 1.25, which is now live! Whenever players finish a match, they can now use Endorsements to recognize their teammates for exceptional teamwork, sportsmanship, or shot calling. Opponents can be endorsed for good sportsmanship as well! Endorsing players will earn you bonus XP, and the more endorsements you rack up from other players, the higher your Endorsement Level will rise, up to 5. Scaling rewards based on this level can be claimed periodically. Players can now use the Looking For Group interface to form their own groups with custom parameters. Choose roles, team compositions, desired endorsement levels, and even merge with other groups. Career Profiles now have adjustable privacy settings, with your choice of Public, Friend Only, or Private. The Offense and Defense hero roles have been merged to form a single Damage category. The map Horizon Lunar Colony has received design changes for both game balance and cosmetic purposes, adding more cover to objective points, some flora to the botany sections, and more! have you covered on offense. their backs with her impressive array of support abilities. A 6″ Pop! Vinyl Orisa is reporting for tank duty. Find Carbon Fiber Genji at Target! Molten Core Torbjörn is available at Best Buy! Shrike Ana is available at Amazon! Look for a 6″ version of OR-15 at GameStop! you go with these soon-to-be-released Overwatch Pop! Keychains. and Lúcio are ready to roll out and join your side in battle! Mercy is available now! Others coming this Fall!